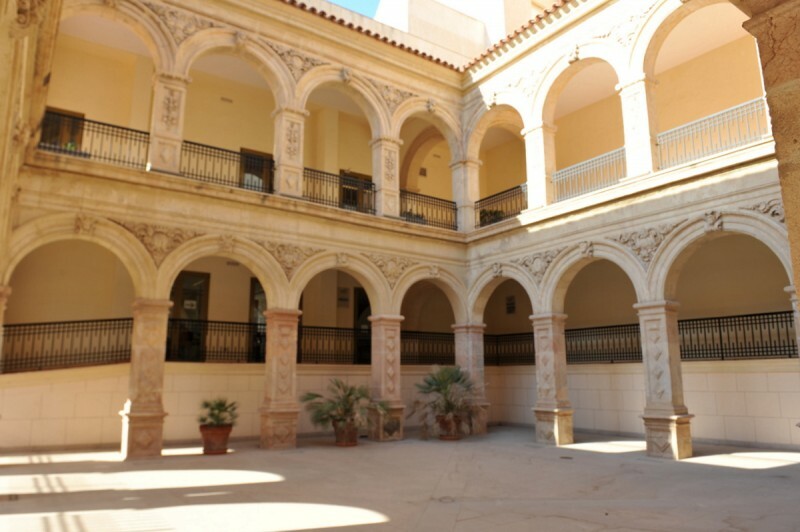 A good starting point for anyone visiting Lorca for the first time is the Centro de Visitantes located in the Antiguo Convento de la Merced. 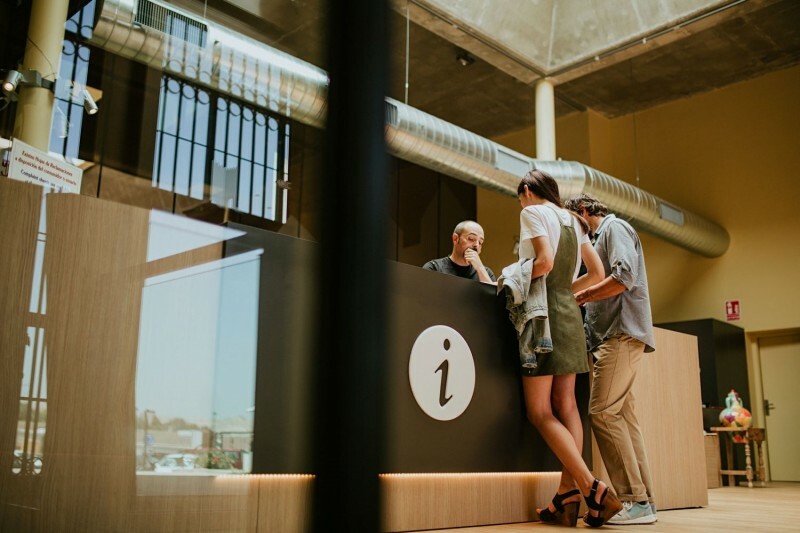 This an excellent base from which to work as it is easy to find and there is plenty of parking alongside, making it a good location from which to pick up a map and head into the narrow streets of the city centre on foot, without becoming entangled in the busy Lorca traffic. All of the text panels in this static exhibition, which traces the history of Lorca from prehistory to the modern day, are in Spanish, although there is a translation available in the format of a printed binder which is kept behind the desk, so ask for this when visiting if your Spanish is a little rusty. 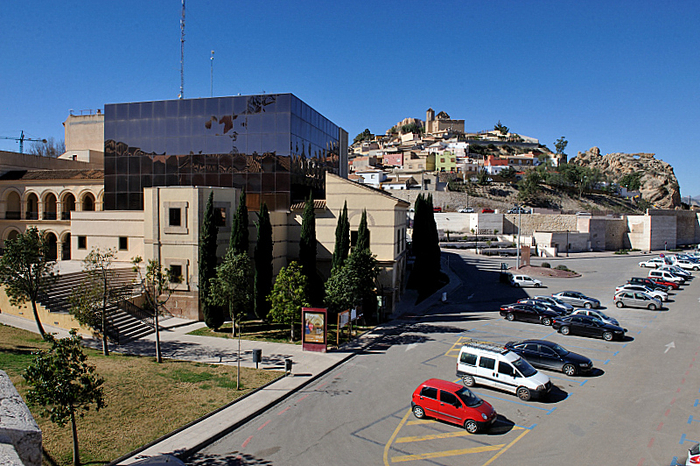 It's worth asking about the discount bracelet on sale at the centre, which gives a bargain entry into the main tourist attractions of Lorca, including the castle and embroidery museums. Maps are also available of the city here. It's also worth stopping off at the centre if you are parking in the carpark alongside it, as a ticket is available from the centre which will permit a whole day in the carpark instead of the two hour maximum permitted, for the same price as two hours! 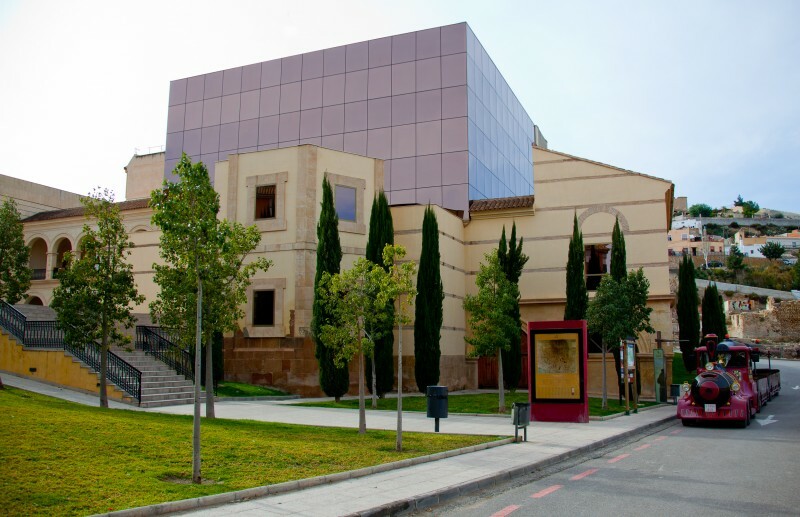 The exhibition in the visitor centre covers the whole story of Lorca from the first prehistoric sites in the Cueva Sagrada ( see Archaeological Museum located just around the corner where an impressive collection of linen found here can be seen), Los Paradores, Cueva del Tio Labrador, el Capitán, El Charirillo and other parts of this vast municipality, through the subsequent Argaric, Iberian, Roman, Visigoth and Moorish occupations, to the Middle Ages, when the imposing castle dominating the skyline was at its most splendid. 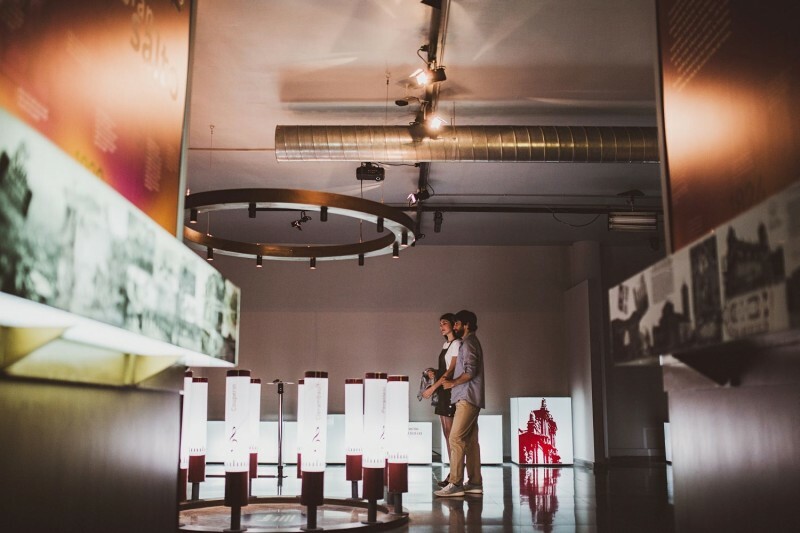 Audiovisual, musical, interactive and even scented items are included as the visitor explores the history, traditions and culture which make Lorca the fascinating mix it is today. Depending on your degree of interest in the detail a visit can last from half an hour to an hour. Access is via stairs, but there is also a ramp for disabled visitors and once inside the display is all on one level. 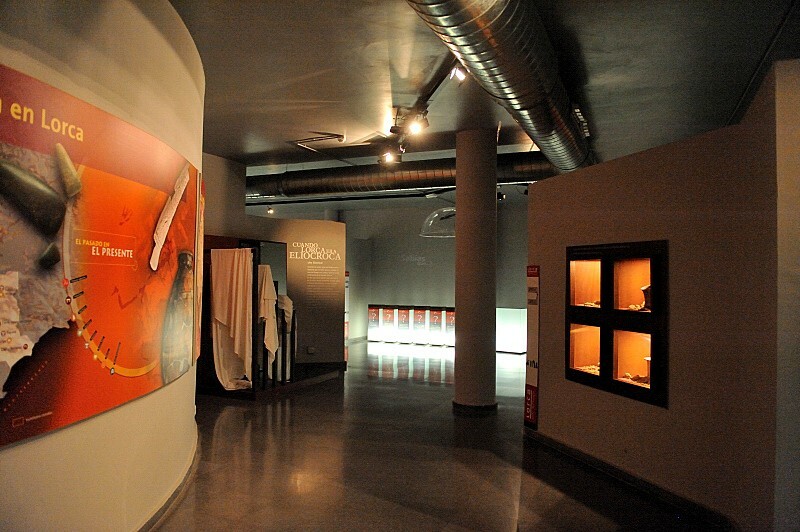 Current opening hours at the Visitors' Centre are from 10.00 to 14.00 (last entry 13.30). The existence of a “Convento de la Merced” monastery in Lorca dates back to the Middle Ages, when it was home to the first monastic community in the city, and it has been deduced that the monks originally lived near the castle, using the Ermita de San Clemente as their church. Exactly when the order took up residence in Lorca is not clear, but it is possible that they arrived in 1266 with Jaime I’s troops from Catalunya and Aragón, when the King came to this part of Spain to quash the Mudéjar uprising following the failure of his son-in-law, Alfonso X of Castile to maintain order. Alfonso had taken Murcia from the Moorish occupiers who controlled this area of Spain between the beginning of the eighth and middle of the 13th centuries during the Christian Reconquista in 1243 during a peaceful capitulation, but had failed to observe the terms of the surrender which had been negotiated and was forced to ask for military assistance after a series of uprisings, the Moors of Lorca noted as being amongst the most rebellious. One of the main missions of the Order of La Merced was to redeem the rebellious Moors who had been taken captive, and in this sense they fitted in perfectly into medieval Lorca, which was a frontier outpost on the border of the Moorish Nasrid kingdom in Granada, the last remaining area still controlled by the Moors: Granada did not fall to the Christians until 1492, when Spain was more or less united as a Catholic kingdom for the first time in its history. The order didn’t move to the banks of the river Guadalentín until the 16th century, although again the exact date is not certain. The Renaissance façade of the monastery church, which was created by Domingo de Plasencia, is from the year 1546, and contains the coats of arms of the Order of La Merced, the Concejo (Town Hall) of Lorca and the García de Alcaraz family, who for a period were patrons of the main chapel. These coats of arms are placed over a large rounded arch topped by a decorated entablature. The remains of the original church have been dated to the late 17th century, but they were sacrificed to make way for the shrine to the Virgen de la Soledad and paintings by Pedro Camacho Felices y Muñoz de Córdoba. The dating of the cloister is more exact: work was begun in 1633 by Manuel Vallés, and continued four years later by Juan Garzón. There were two levels of seven columns on each side, and the staircase was constructed between 1650 and 1656, supposedly by Lorenzo de Mora, whose son Miguel completed the work in 1667. Part of this cloister was taken to the Castillo de Monclova in Écija (province of Sevilla) in the late 19th century, but work had already begun in 1727 on a new cloister built on pillars rather than columns, and this was completed in 1729: this cloister is now the area through which the Town Hall’s Urbanismo offices are entered. In 1835 the monastery, like all the others in Lorca, was confiscated by the State, and was sold off into private ownership. There followed a period in which the buildings were more or less left to deteriorate, and the remains of the 17th century cloister and the original church were lost. What can be seen and admired today is the result of restoration work undertaken in the 20th century. In 2011 the building suffered significant damage to its foundations during the May 2011 earthquake, loosening the substantial stone façade, which had to be supported for a period of several years to prevent it collapsing. 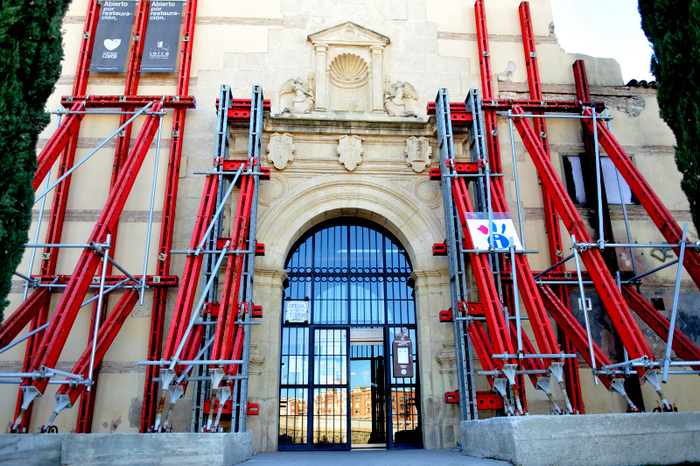 Work to restore the main structure has now been completed and the structure returned to its former splendour.